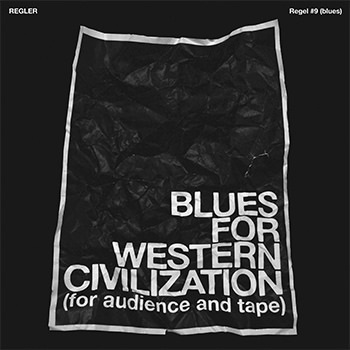 Brainwashed - Regler, "Regel #9 (Blues for Western Civilization)"
Regler, "Regel #9 (Blues for Western Civilization)"
The latest installment in this duo’s quest to pervert well known forms of music may be its most difficult album yet. On the surface it seems the most conventional: a live performance of Anders Bryngelsson on drums and Mattin on guitar with the assistance of some backing tapes, but the way in which these two interpret the blues is anything but. 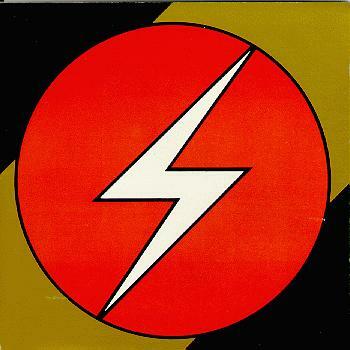 It is one of those records that is rather unpleasant to listen to, and that is exactly the point of it. First of all, Regler's interpretation of the blues is a very loose one, but is still faithful to the basic nature of the style. Latching on to the genre’s cyclic repetition, the main musical portion of the album is a plodding, repetitious blast of distorted guitars, primitive rhythms, and the occasional guttural growl. The resemblance to Swans’ earliest recordings is undeniable, and fitting, given that Michael Gira himself has discussed numerous times the influence of Howlin’ Wolf and the like had on his band. The second blues connection is, however, more thematic. This record was captured live just over a year ago (September 23, 2016, in Berlin), foreshadowing the political turmoil that was soon to plague Western Civilization as we know it(hence the title). Accompanying the music are multiple recordings from the news, European and American, and even when the language may not be familiar to these ears, the anger and frustration conveyed is universal. Over the doomy throb the two create with their instruments, the aftermaths of terrorist attacks, police shootings in the United States, and pre-Brexit, pre-Trump protests are all captured here. Besides just chanting, yelling, and speaking, there is more than a few instances of emergency sirens, police radios, and gunfire to really ramp up the tension and hammer home the unsettling nature of the music. At times (and surely intentionally), the tapes are distinctly louder than the music being played, making the intent painfully apparent. All the while, Bryngelsson and Mattin pound away, a dull throb that shifts and evolves as the performance goes on, but never loses focus. On the second half the rhythm shifts up a bit, and the guitar alternates from low end sludge to shrill, metallic and feedback-laden. Towards the end of the performance, the playing gets even more unhinged, fitting the tension that builds to a head, before collapsing on loops of sirens and an abrupt conclusion. Regler #9 is admittedly a very unpleasant record. Throughout I was definitely feeling the tension that was constructed as the performance went on, both from the tapes played and the music itself. At this point though I feel as if performance has an even stronger impact, since those worst-case scenarios that are channeled via the protests and television news broadcasts have largely come to pass. It is rhythmic, repetitive, and depressing as all hell, and I cannot think of a more fitting interpretation of the blues on such a macro scale.